Reflecting on memory, time and friendship in The Gardens Between. We’re often asked to think of ourselves as a hero in pursuit of an end-game, especially as players. The Gardens Between is not a hero’s journey; it’s a voyage and return. Working with The Voxel Agents as its narrative designer and producer is a voyage that continues to change my life. A voyage that has taken me all around the word, allowing me to develop my narrative design skills and, I hope, inspire others by speaking at conferences, running workshops, and being a part of the Codebreakers Women in Games exhibition in Melbourne. I’ve met some of game-writing’s greats too — including Sam Lake and Tim Schafer who wrote two of my favourite games, Max Payne and Full Throttle. For a long time, the key concept image of The Gardens Between was a boy and a girl at the top of a mountain. It was iconic because it implied a great adventure with many trials and tribulations. The road to the top was a sure thing but what they had found up there remained a mystery. In his book, The Seven Basic Plots, Christopher Booker explains the Voyage and Return plot shape. A story usually starts with the protagonists in an ordinary life, who then ‘fall’ into a strange and mysterious world. At first it’s all wonderful, but as the world becomes challenging the characters are forced to grow. Think Alice in Wonderland, Gulliver’s Travels, and The Wizard of Oz. We chose the Voyage and Return structure because it seemed more true to life — including to our own lives at the time, immersed in a fascinating new world. The Gardens Between is calm and curious. Rather than pushing the player through, it lets them sink in. It doesn’t tally points, players cannot die, and there are no enemies. There’s no powerful push in the plot: no obvious call to adventure; no wise guide for our young protagonists. Instead, the environments, colours and sound provide clues and encourage players to explore. I ‘fell’ into game development much like we all fell into the development of this strange game, a story that was undefinable for a long time. 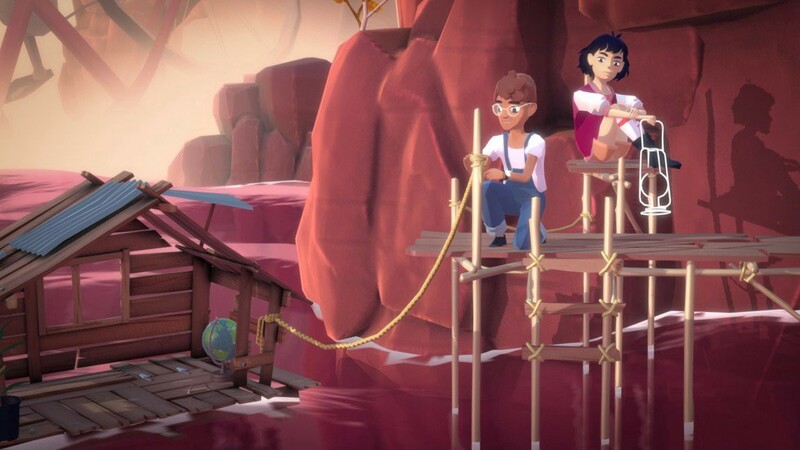 The Gardens Between was The Voxel Agents’ first three-dimensional, narrative puzzle game and required their largest-yet development team, with many multidisciplinary creators around a core group of developers. Many of us learned entirely new skill sets on the fly. 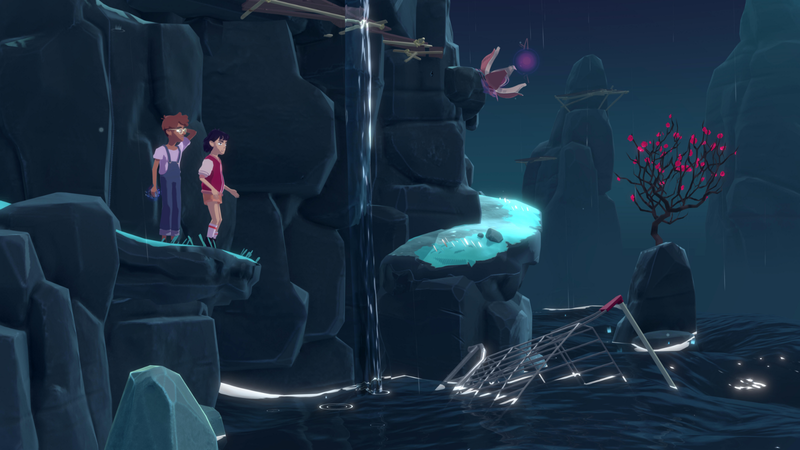 The Gardens Between was scheduled to take nine months, but in the time it took us to complete it games were conceived, made and shipped all around us. In The Arcade, a co-working space for game developers in Melbourne, other developers would ask when they could play it. There was a joke circulating: Hey Voxels, those kids still scaling that mountain? Yes. And so were we. If your mountain is too tough, change the journey. Linger on what creative aspects are truly important. 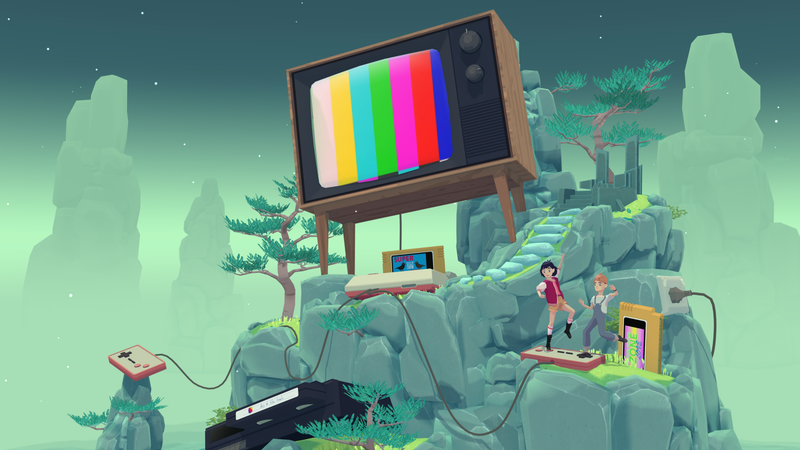 Due to the time-moving mechanic in The Gardens Between, many puzzles interact directly with over-sized modern objects in the environment, like a Super Nintendo or a VCR. All the puzzles and environments in the game are bespoke, and generated an incredible amount of work. Challenges like this can be tipping points in a creative project, and in life. But as for our protagonists (yes, still scaling the mountain) the answer is not to lower expectations. Instead, we need to be aware of the equation and to find a way to rebalance. In the development of The Gardens Between we let go of so many ideas, levels and designs to understand what we were trying to say. Originally, I wrote a fifteen-page world document detailing the mysterious world of the Gardens. We haven’t used a word of it — and that’s a good thing. In any creative project, when reality exceeds expectations it’s on track. However, if expectations consistently extend beyond the reality of the situation (time, budget) the balance is lost. We work late, grit our teeth, become generally unhappy. There were times during development when momentum was elusive. Everyone knows what it’s like to be so ‘in it’ that you can’t ‘see it’. We struggled for clarity as timelines and budgets closed in. On a personal level, The Gardens Between gave me momentum at a time when I most needed it. I received more work on other projects, won a Creative Impact Award and received a Women in Games Fellowship grant. I used the grant to work with people I admire, including Anna Megill and Sam Lake at Remedy Entertainment and Tim Schafer at Double Fine Productions. Both studios allowed me to contribute to their projects and my confidence and skills have grown as a result. My voyage has taught me the importance of scale back expectations in some areas of a project in order to raise them in others — a creative superpower. I’ve learnt to focus on what can be accomplished; on my strengths and those of the team. Establishing small, achievable goals suited to your project builds momentum. Josh Bradbury, our game designer and animator, used to perform different walks around the studio to ensure the movement of Arina and Frendt suited their character. Momentum generates morale which generates momentum. Jonathan Swanson, our Art Director, would always ask: at the bare minimum, what must be communicated? Start there. After a voyage, it’s important to relish the view and savour the memories we make along the way. Thank you to Simon Joslin, Matthew Clark and Henrik Pettersson for having me on this wonderful journey. A Voyage and Return is inner work. I look back and see I have had the pleasure of watching my friends and this beautiful game grow. We have put so much of ourselves into it. Like any truly creative project, The Gardens Between is about getting to know who you are by letting go. About growing by reflection and spiralling up your own mountains, then returning and beginning again — on a new voyage. 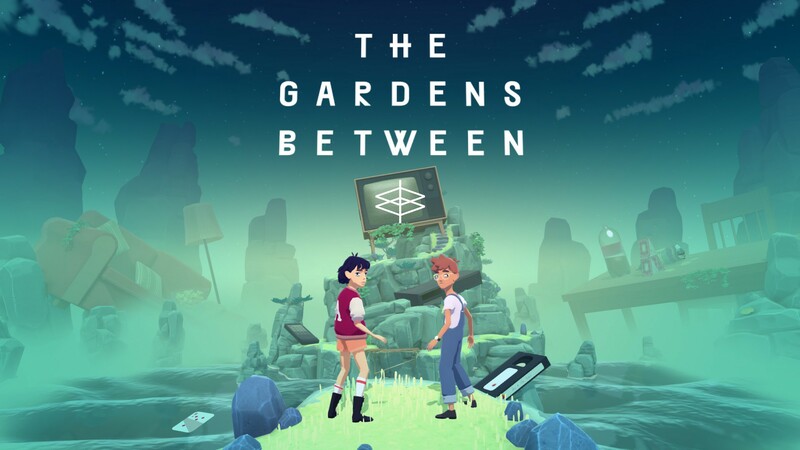 The Gardens Between is available now on Steam, Mac, PlayStation 4 and Nintendo Switch.